In Australia, Office 365 is best known as being sold by Microsoft and Telstra. Thanks to this, it’s become a common component of business bundles, and become critical to a lot of organisations. The great thing about Microsoft Office 365 for business is it’s fairly ‘all you can eat’ and friendly for non-techies. Microsoft handle all of your backups, updates and hosting. Once you have Office 365 setup, there are no more capital IT expenses for servers and software. Your only cost is your Office 365 subscription, and your computers. Office 365 is billed per user per month, with multiple plans available depending on the features you need. You can can mix and match licences, allowing you to pay for only what you need, and nothing you don’t. 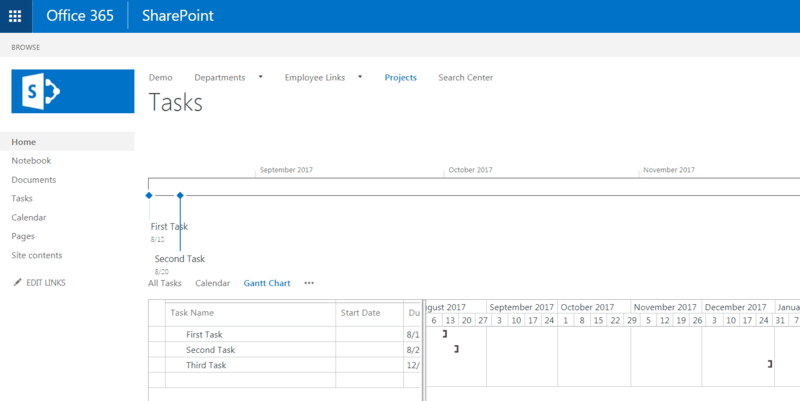 If you’re using Office 365, you may not know there are a range of great project management tools included with your plan. The best part of using the tools included in Office 365 is they integrate with other parts of Office 365. 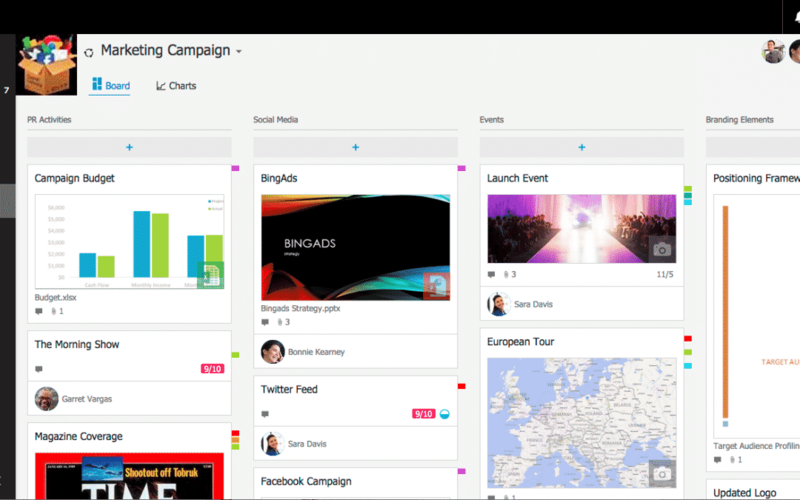 Office 365 project management tools can talk to your Calendar, your Email, your Contacts list, and more. Project management in Office 365 allows us to keep everything in one place with an interface we know, saving us time, and money. The suite of tools available as part of Office 365 has expanded dramatically over the past couple of years, and continues to grow, adding value to your subscription. Before you pay extra for a new, shiny platform for project management, consider using the tools included in your Office 365 subscription. You’re already paying for these tools, and they may even be easier to use for your organisation. 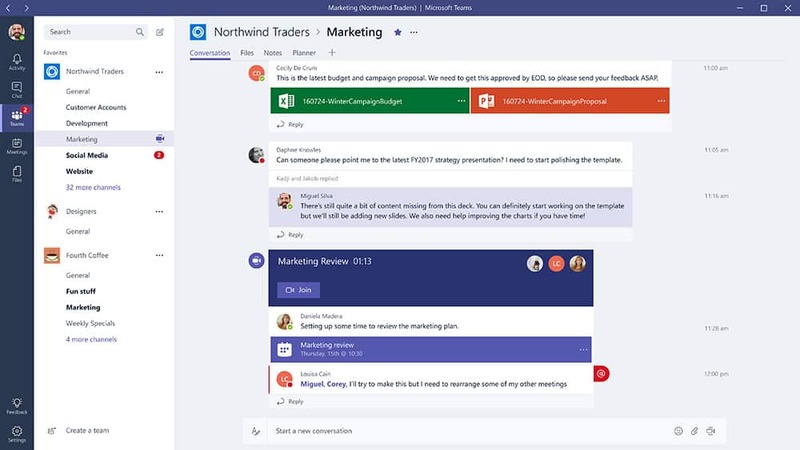 New for 2017, Microsoft Teams is a chat tool designed to connect project teams within organisation. It’s built in the same vein as Slack, a very popular workplace discussion tool. Teams includes discussion threads, ability to import documents from OneDrive, SharePoint, and is perfect for making sure teams keep up to date and on track. A very new part of Office 365, you can now let your customers schedule appointments online with Microsoft Bookings. This allows your customers to see when you’re free, and they can book appointments in your calendar automatically. 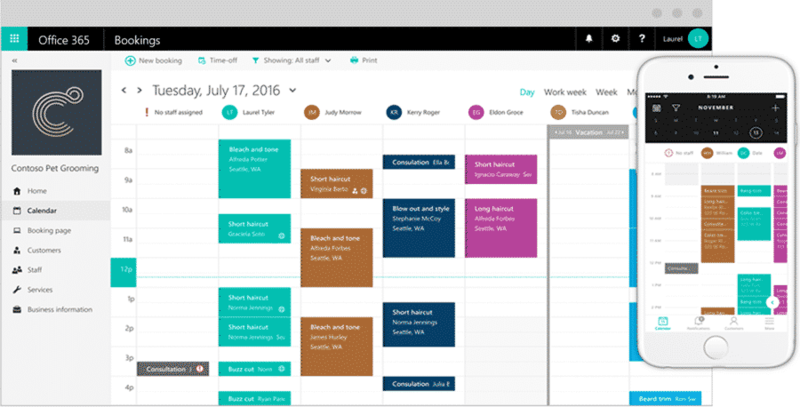 Microsoft Planner is a dedicated project management tool introduced to Office 365 in 2016. You can create tasks, allocate to colleagues, track deadlines and more in one central place. Planner is very similar to the popular project management tool Trello. Like Trello, Planner is based on a ‘card’ like interface, and is mainly built to support Agile or Kanban project management methodologies. Microsoft SharePoint has been around for many years as an organisation intranet solution. Every time you mention SharePoint in a room you can hear groans from those who had bad experiences in years gone by. This old dog has learnt some new tricks with Office 365. SharePoint is now a hosted, managed part of Office 365, reducing the overheads. SharePoint can be valuable for project managers using a more traditional project management approach. Create and allocate tasks, child tasks and more, and view them as a Gantt chart. It may not seem like it, but the old faithful Office apps have become valuable project management tools. Word, Excel and PowerPoint have a new lease on life as online, realtime applications. 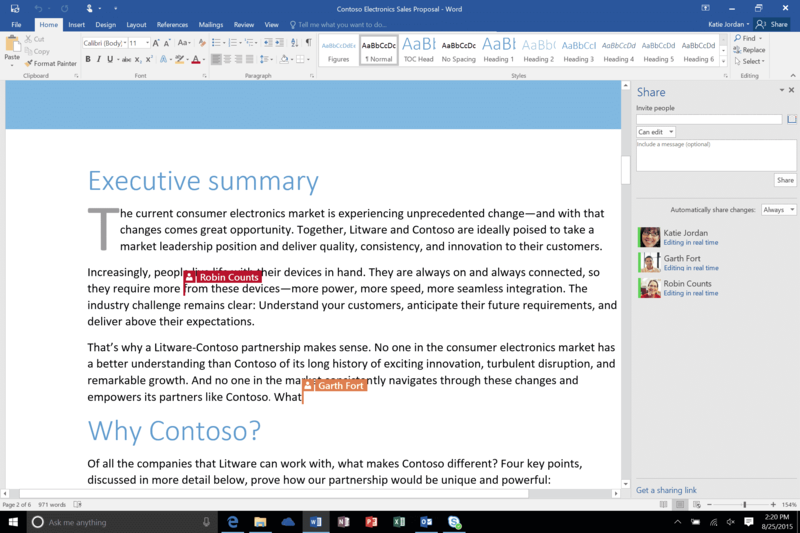 Collaboration with colleagues in Word Online and editing documents in real time together is extremely powerful and convenient to keep projects on track. Having the ability to store all your documents in OneDrive or SharePoint storage, providing a single source of truth for all documents, is also hugely helpful. Eligible not-for-profits and charities in Australia can get Office 365 FREE as part of Microsoft’s philanthropic donations program. If you are not sure if Office 365 is the right fit for you, ask us. We can provide a technology audit and strategy, assist you in implementing Office 365, then provide training for your staff so you can get the most out of the platform. We have successfully implemented projects for a range of businesses and not-for-profit organisations.